I hinted at some personal reasons to go on hiatus last year and, while I’m not going to give you a long and boring story about my life, I’ll just say that a combination of (newly-diagnosed) ADHD, the work needed to find ways to live successfully with said ADHD, and general stresses and overwhelm pushed me into a bit of a crash last summer. I’m feeling much better now (even with this election!) but I still don’t think I can quite wrap my head around all the things needed to keep EQ going in the ways I would like. 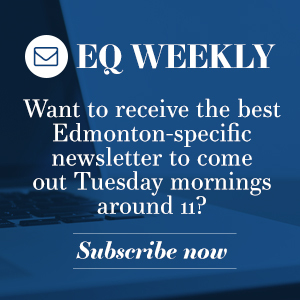 So, I won’t be continuing to run EQ as a local journalism outlet offering independent perspectives on Edmonton issues and news. 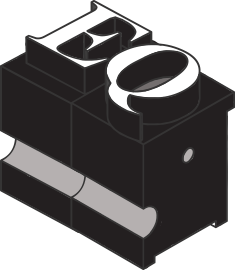 I’ve thought about keeping the EQ brand around as a way to continue to share my own journalism (or anything someone else would want to share or collaborate on) but that idea isn’t really fleshed out right now. The site will remain up for now, either way. If you struggle with stress of any sort, I always recommend finding a professional to talk with. It could just be a tough time for you, and/or it could be something else getting in your way that requires some care and attention, and compassion.You can search for psychologists with specific areas of expertise, or who have an office close to you, at the Psychologists’ Association of Alberta. You can skip the wait for an appointment and start chatting with someone online with a service like Betterhelp – insurance note; the big online counselling platforms tend to be based in the U.S. Mental healthcare is still too damn expensive, so you can also find free, walk-in, services at Momentum. They also take donations if you’re not in need at the moment but could help them help people. If this is the last time we’re together here on this website I want to make sure you really hear how appreciative I am of you spending your time with me and other folks who have helped tell stories through this platform. Thank you for choosing to subscribe to our newsletter. Thank you for reading, listening or viewing anything we’ve produced with local journalists and storytellers. Thank you for supporting the Edmonton businesses we’ve partnered with. Thanks for supporting local. Thanks, also, to the local journalists, photographers, videographers, producers and storytellers who have been a part of this conversation. Please keep following them wherever they are, and follow others they are sharing stories from. Absolutely nothing will make me happier about my time with EQ than seeing myself as the only white, straight man on the contributors page. And, thanks to Edmonton business owners, freelancers, makers and entrepreneurs who supported this Edmonton business. Local businesses and makers play such a huge role in our lives in this city, and some of the folks who do this work are truly building communities. p.s. If there’s anything I forgot to mention, please get in touch at jeff@edmontonquotient.com or by replying to this newsletter. Because we’re two weeks from election day in Alberta, please make sure to figure out where your voting station is, book time off to vote (or vote in the advance polls, or make sure your employer gives you the required time to vote on April 16) and get informed. Support a local candidate who will represent your values at the Alberta Legislature. If you’ve got time, volunteer. If you’ve got money, donate. This really does feel like an election that decides the direction of Alberta for years to come. Be part of it. Oh, and don’t vote for the party full of white supremacy and hate. Bashir Mohamed – Stop what you’re doing right now and go follow Bashir! He’s become one of the city’s most important voices. sharing Edmonton and Alberta Black history in very accessible ways. A couple of spots outside of Edmonton: support The Sprawl in Calgary, The Tyee in B.C. (and Alberta and nationally) and Canadaland (nationally) for more investigative, adversarial and local journalism and important and needed media criticism. That list is in no particular order and likely definitely leaves out something or someone but it’s a fairly solid place to start.